The SAILOR 6000 Consoles not only fulfill IMO requirements but a flexible and easily upgradable design means that they are also a sound investment for the future. Inspired by your needs, we have packed in a wide range of improvements and new features as standard, including dimming controls, connection boards and SAILOR Moxa Switches for Thrane. 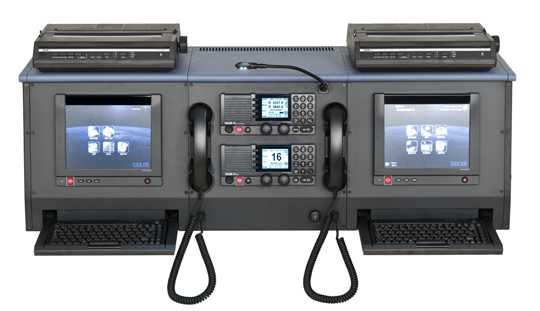 Also available with the Thrane VoIP Handset for SAILOR FleetBroadband and fully customizable for any vessel or sea area, the SAILOR 6000 Consoles will keep you compliant, connected and safe. All three Thrane & Thrane SSAS systems have been developed to meet the requirements for Ship Security Alert Systems as specified in the amendments to SOLAS, chapter XI, Annex 6 (Dec. 2002). The details are described in the International Ship and Port Facility Security Code (ISPS Code)*. The objective of this code is to establish an international framework for detecting and assessing security threats and taking preventive measures against security incidents affecting ships or port facilities used in international trade. The proven classic C and versatile mini-C platforms from Thrane & Thrane is the backbone of the SOALS fleets LRIT equipment with the prolific SSAS and GMDSS types being the ones set to bear most of the global LRIT position reporting. 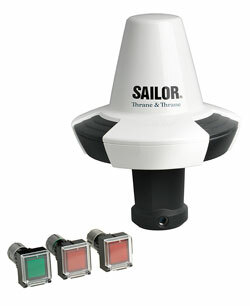 The SAILOR TT-3000SSA and SAILOR TT-3000EB will form the basis of LRIT compliant Thrane & Thrane transceivers, but is joined by the stand-alone SAILOR TT-3000LRIT transceiver that offers inexpensive LRIT compliance along with the renowned SAILOR quality. Furthermore the quite substantial number of SAILOR TT-3020C currently in operation also meets LRIT requirements thereby giving you a wide range of products to meet requirements. In connection with implementation of LRIT Thrane & Thrane recommends the check and update transceiver software versions to ensure maximum reliability and functionality.